Iconic for gigs, always brings a great vibe and atmosphere in there. Will continue to attend more in the future. Been going to music gigs for years and years. From small pub venues to huge stadiums. 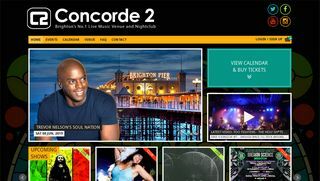 The Concorde 2 in Brighton remains my favourite. Small, sweaty and everything a venue should be. Everyone should experience a music gig here at some point.